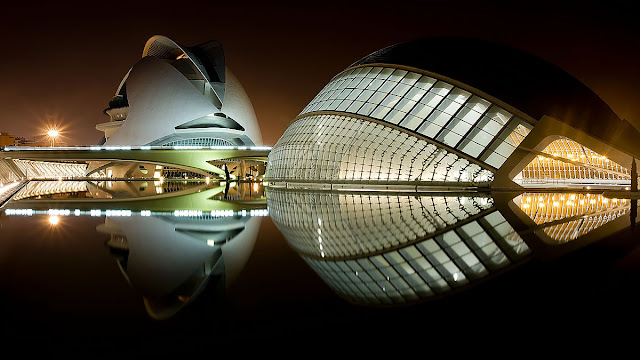 Traveling and diggingART: What Is Contemporary Architecture? Contemporary architecture has helped produce some of today's most popular building styles. Structures from single family homes to downtown office buildings are built in contemporary architecture styles, and most of which look as fresh today as they did decades ago. While it's hard to give an absolute list of contemporary architecture features, buildings within the movement can usually be broadly identified, as can their individual styles. Contemporary architecture is, in many ways, a catch-all to describe contemporary styles that share a variety of features and haven't yet been classified. The term "contemporary" is also slightly inaccurate, as it can refer to buildings 70 or 80 years old. But in an age where classic building architecture styles are as popular as new ones, it's important to have a broad overview of what separates the two. Contemporary architecture, then, is generally recognized as a movement where few, if any, traditional building methods and ornamentation features are used. Contemporary architecture is also one of the first architectural movements to embrace completely new building methods, and forms that are based more on functionality than style. While contemporary architecture is broad-ranging, the term usually refers exclusively to homes, while buildings for other purposes are classified according to their particular style. For example, a downtown office building might fit within the contemporary architecture movement, but still be considered art-deco, or internationally styled. The main reason for this is contemporary architecture's focus on functionality as opposed to design. For example, homes can be modified a number of ways to work better for their occupants, but office buildings with new, unprecedented features are generally seen as having abandoned functionality - an office building in the shape of an hourglass with exposed ventilation would probably be seen as Internationally-styled, whereas a house done this way is likely to be seen as contemporary. If you notice a contemporary-styled home it's usually because one or several of the movement's common attributes is apparent. The most common things about the contemporary architecture style people notice are usually a mixture of wall materials, like stone, brick, and wood, all combined on the same surface. Exposed wood beams, and an abundance of glass are other common material characteristics of these homes. Shape-wise, contemporary homes can often be identified by flat roofs, split levels, and large overhangs. While contemporary homes may often look fanciful or extravagant they are usually much more refined and practical than other home styles. Large windows, for example, might encourage energy saving and use of solar power, while split-levels are usually employed to help the house work better with the land around it. The biggest factor influencing contemporary architecture is probably home building technology - as this evolves, it'll be interesting to see how the style changes.